We are offering High-Speed Rotary Assembly Machine.we are manufacturer in Coimbatore. This SPM machine has Automatic Grade with 440 voltage. 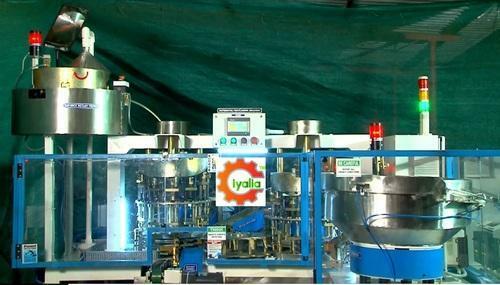 We are Iyalia Engineering Solutions India Pvt Ltd, formally Italia components suppliers since 2010 serving the engineering industry and is providing the turnkey project with a team of mechanical, electrical and electronics engineers and technicians and innovating Special purpose machine. With a combination of 2 or more operations like milling, boring, drilling, tapping, pressing, broaching, & cleaning, assembly and testing machine for all kinds of industries are designed and manufactured in our company. These solutions can be CNC or PLC depends upon the requirement of the customer. Customization is must for Special machines which we do after listening to the customer and that makes Italia give the best solution for the automation of the products from designing and development, Installation of the equipment at the client's end. Proper commissioning, On-site training and till after sales and service. Our company infrastructure with the latest machines and inspection instruments. We have the best vendor team to give us the best solution for the customer.